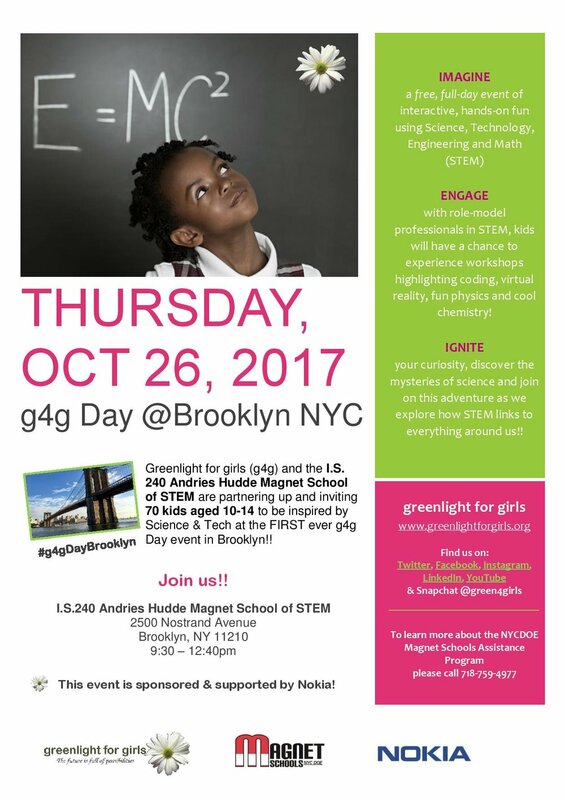 We're excited to have announced that g4g was back in the Big Apple and this time in Brooklyn NYC! Together with I.S. 240 Andres Hudde Magnet School of STEM, and our sponsor Nokia, we invited 70 kids aged 11-15 and offered them a morning of fun hands-on activities and workshops that will highlight STEM! I.S. 240 believes hands-on coursework and instruction, coupled with access to state of the art technology, encourages and develops higher order thinking and prepares students for college and beyond. The kids experienced a day of interactive, unbelievable fun with Science, Technology, Engineering and Mathematics! How? We invited role model professionals to lead 45 minute workshops that show the link to STEM, with 14-15 students in one workshop. The participants will have a chance to experience 2 workshops throughout the day.